In 2018, We Will All Do Better! 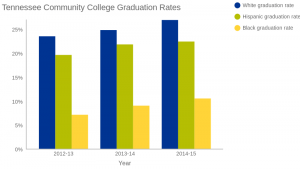 Tennessee found that where you live can determine your success in college. Dr. Bensimon reiterates that policies in Tennessee need to be interrogated to understand if they are disadvantaging certain students. Click to read the complete article. 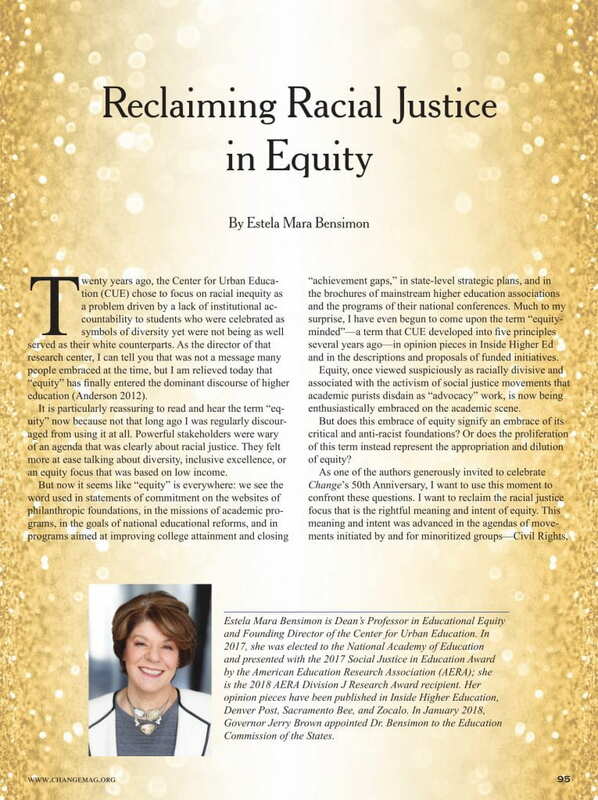 In her article for Change Magazine, Dr. Bensimon notes that the popularization of the idea of "equity" has stripped it of its anti-racist roots. To counteract the whitewashing of equity and equity-mindedness she provides practices that give explicit attention to structural inequality and institutionalized racism.